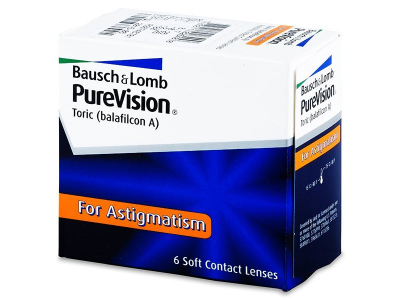 PureVision Toric by Bausch and Lomb are monthly contact lenses for astigmatism. They provide exceptional comfort and sharp vision for users with higher levels of astigmatism. TopVue Air for Astigmatism are toric silicone-hydrogel contact lenses. Their advanced design ensures optimal stabilisation of the lens on the eyeball for sharp vision and maximum comfort. This package contains 6 lenses. 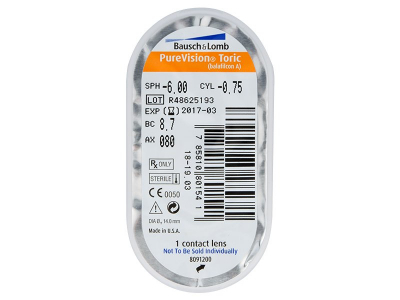 Pure Vision Toric contact lenses are intended to correct higher levels of astigmatism while guaranteeing a high level of comfort and sharp vision. These contact lenses have a monthly replacement schedule, and each box contains six lenses. 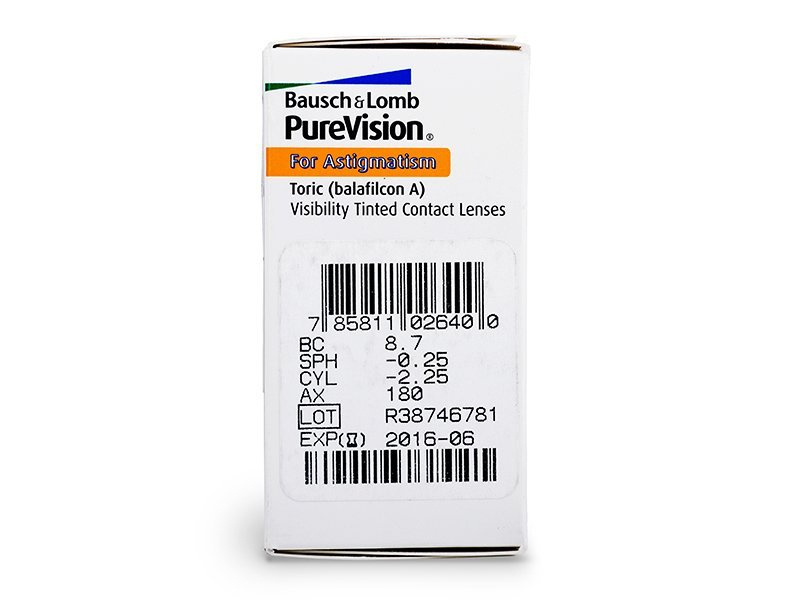 We also recommend Purevision 2 HD for Astigmatism monthly contact lenses. 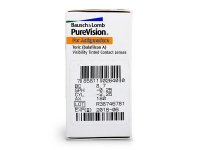 PureVision lenses are renowned for their high moisture levels and high oxygen permeability, which, in combination with their advanced Batafilcon A material and AerGel technology, enables the lenses to be worn continuously for up to 30 days, if approved by your eye-care specialist. PureVision Toric contact lenses can also be used on a regular, daily basis – insert them in the morning, then remove, clean, and store them in solution overnight. Can't go wrong with these. Delivery was quick and the price is good on here. 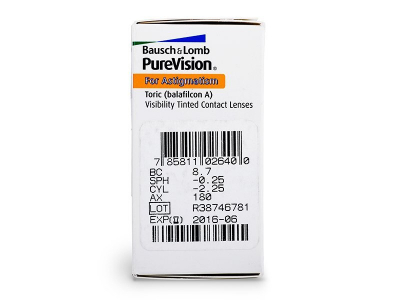 Are Purevision toric extended wear contacts? Does it mean you can wear them longer than a month? What is Purevision toric dk/t? Do I need to get this from my optician? Hi Susan, Purevision Toric parameters include this dk/t measurement to indicate how much oxygen is able to pass through the lens to the eye. (Also known as oxygen permeability) Purevision toric's dk/t measurement is 112, which is quite high. The number is standard on all Purevision toric lenses, and you do not need any additional information from your optician. Very good lenses, and quite pleasant to wear overnight, too. I was never able to wear lenses continuously before now. Very pleased. I had a long flight weekend just past and these lenses were a perfect choice for long continuous wear. Thanks for the fast delivery service.